OCCAR (Organisation Conjointe de Coopération en matière d'Armement / Organisation for Joint Armament Co-operation) is an international organisation whose core-business is the through life management of cooperative defence equipment programmes. The organisation was established by means of the OCCAR Convention which is equivalent to an international treaty. 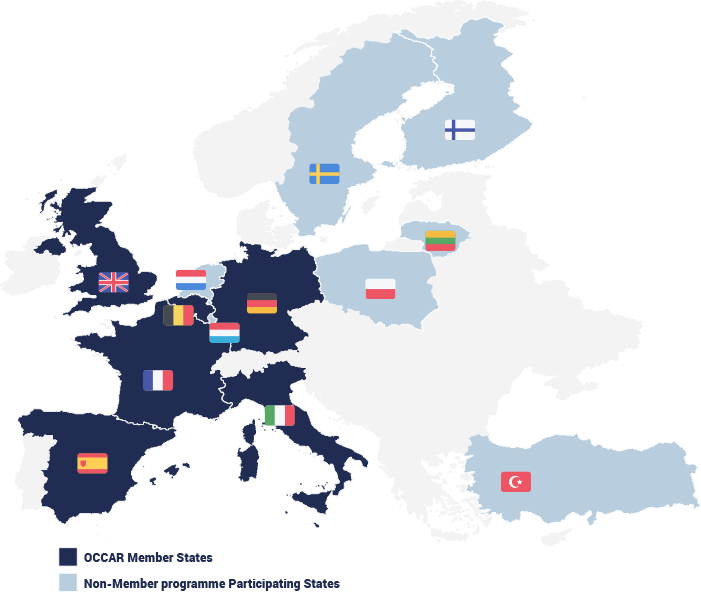 The current OCCAR Member States are: Belgium, France, Germany, Italy, Spain and the United Kingdom. It is OCCAR's vision to be a centre of excellence in its business domain. This is underpinned by the implementation of a comprehensive business management framework, comprising a Quality Management System which attained the ISO 9001:2000 certification in July 2005. In 2017, the OCCAR Quality Management System was certified against the new ISO 9001:2015 standard.